September 2018. Cancer researcher Simone Fulda has been elected as member of the Leopoldina - Germany's National Academy of Sciences. Simone Fulda is director of the Institute for Experimental Tumor Research in Pediatrics at the University Medical Center Frankfurt and Vice President for Research and Academic Infrastructure of the Goethe University Frankfurt. The Leopoldina was founded over 350 years ago and admission to this institution represents a very special recognition of scientific achievements and personality. Simone Fulda is an expert in apoptosis research. Apoptosis means programmed cell death and is necessary for the maintenance of tissue homeostasis. However in cancer cells apoptosis is typically disrupted. Simone Fulda is investigating new treatment approaches in order to restart this suicide programme in cancer cells and thus develop new perspectives for an individualised cancer therapy. She has received numerous national and international awards for her research contributions. Simone Fulda was born in 1968 and studied medicine in Cologne, Boston, San Francisco, Phoenix and Dublin, supported by scholarships from the German National Academic Foundation and the German Academic Exchange Service. She completed her doctorate in 1995, followed in 2001 by her qualification as a medical specialist and her habilitation. From 2002 to 2007 she was a Heisenberg Fellow of the DFG and from 2007 to 2010 a DFG Research Professor at the University of Ulm. Simone Fulda has been Director of the Institute for Experimental Tumor Research in Pediatrics at Frankfurt University Hospital since 2010, funded by the Frankfurt Foundation for Children with Cancer. She was elected Vice President for Research and Academic Infrastructure at Goethe University Frankfurt in 2018. She also holds key positions in numerous international research organisations. 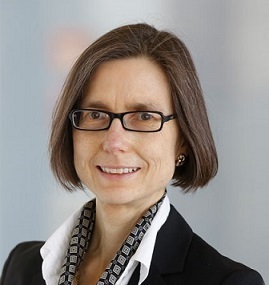 In 2012 Simone Fulda was appointed to Germany's Science Council (Wissenschaftsrat) and served on its scientific commission for two terms until 2018; she currently heads the Research Buildings Committee and is a member of the committees on Medicine and Evaluation. In this capacity, she contributes to the advise the Federal Government and the State Governments receive on issues relating to the development of universities, science and research.